Though hard to believe, when I graduated from SCAD there was no formal UX program offered there or at any other design school like it. Similarly, when I was applying for jobs most were a mix of research, visual design, and business with ambiguous titles (ones that rarely included the word “experience”) and a long list of desired skills. We learned about User-Centered Design in school through whatever skill or craft we were majoring in at the time, in my case Industrial & Service Design. We later learned UCD was primarily about applying those principals to digital interfaces. In the last few years there’s been a shift felt by most people in the design world. Some of it has been gradual - companies like Intuit having an Experience Executive included in the C-suite. Some of it is more rapid - developing a department in an agency and not simply being packaged under strategy, IT, or being labeled as a designer who can’t use Photoshop. As the understanding and demand slowly grew and shifted, it became clear there was a shortfall not only in the positions available but also in the number of professionals qualified to take on these roles. Now let’s step back a moment to revisit my time spent at an agency in Austin. When I got there it had, in my opinion, one of the strongest UX teams I have worked with to this day. We had a great mix of people that came from various backgrounds including directors with 10+years of architecture and Exhibit design experience, designers with years of research library science and HCI, and some newbies like me who were knowns as the “creative UXers” because we came from design school and could do fancy things like concept sketch and make power points look fly. The collaboration of synthesizers and generators, different perspectives and experiences, and the fact that we were all what we consider UX generalists (not hybrid designers) allowed us to align our goals and shift the company to an Experience and Design driven organization. It was a lofty goal, but we saw it as a necessity for the success of the business and our clients. The process of building up this team together allowed us to see what a huge gap there was in talent. People who were interviewing at a Director or Senior level often came from strategy or business backgrounds. They had a plethora of experience, MBAs, and great client-relationship (schmoozing) skills. Those same individuals didn’t fundamentally know how to explain UX or fight to give it a seat at the grown-up table. On the other hand, we had junior designers fresh out of school with little UX knowledge (because it was hardly a discipline) and no wireframes in their portfolio but they came with a willingness to learn. It’s hard to make a business case for hiring them. How do you explain that you need to hire a junior with a strong sense of user-centered design but who may have never actually done what the business considers “real” UX. Strong senses and eagerness won’t translate into experience to hiring managers. We all saw the gaps and around the same noticed a shift in the educational landscape, especially in a college and tech town like Austin. As startups popped up, and large companies opened offices, new offerings became available. You could go to the University of Texas (UT) Information Science (or “I”) School to learn library science or HCI during a 4-year program, or come out of Texas State’s Advertising and Marketing school that had classes specializing in UX. It gave you the opportunity to tick the 4-year degree check box while also providing the hard skills and industry connections you needed around Austin. You could also take a course at startup edu companies like AC4D that were founded by ex-frogs who understood exactly what human centered design and trade skills you needed at an agency. Having a frog connection is never a bad thing and a small classroom environment with instructors that still work in the industry is a pretty killer setup. It is full-time, and can be a big commitment, so other programs like General Assembly (a vocational school that’s committed to teaching immediately usable skills) popped up to fill that gap. Full or part-time immersive courses with similarly industry-active instructors, career coaching and a connection to the community became more common. Many folks who were interested in UX but not ready to commit to a full career overhaul opted for the part-time course that I currently teach at GA. Those who had families, degrees, or full time jobs found it helpful to learn the skills they needed while only committing a few hours a week. Others opted for the 10-week full-time immersive that is 5 days a week but has a high job placement and built in career coaching to help get your foot in the door. 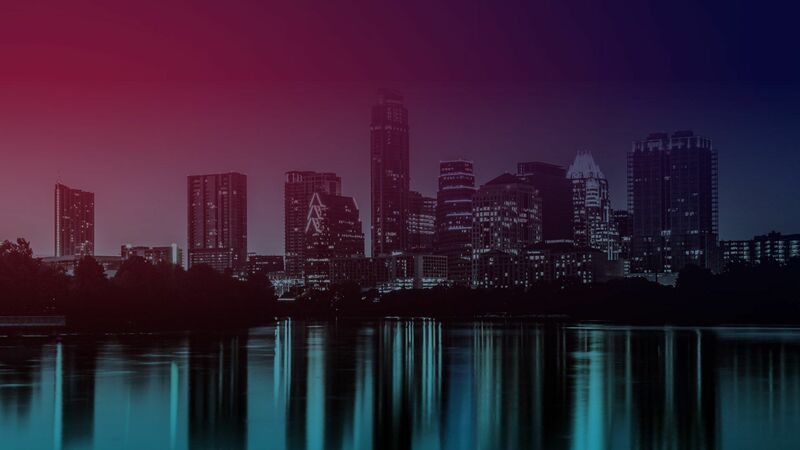 All these programs grew out of the needs that were noticed by those doing the hiring in Austin and such programs are now emerging around the country. 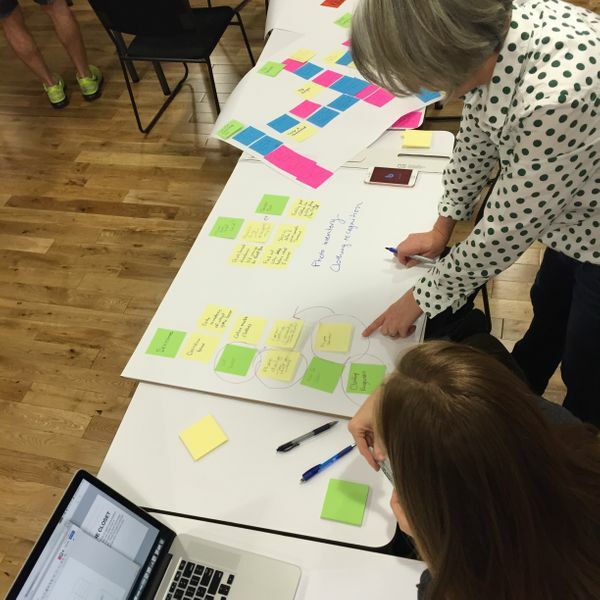 Last month SCAD, my alma mater, announced its design collaborative is formalizing its UX education practice. This is a huge step for the university and is seemingly advanced considering that most 4-year universities still have UX tucked within other departments. Many of my Industrial Design classmates have gone on to do UX full-time at large companies or agencies so it seems like a natural step. I was even happier to see it is headquartered at the Gulfstream Building where ID, Furniture, and Service design all live and where I have fond memories of pulling all nighters working on my foam models and watching professors evaluate and oftentimes smash said foam models (true story). It feels like the right place for UX to live and like a truly holistic learning environment that is not limited to screens (UX Is not just digital, people. AMIRITE?!). Seeing programs like these, be it a 4 year UT or SCAD program, an immersive 10 week course at GA, a week long workshop in the woods, or a 2 day boot-camp at SXSW, just goes to show that we need to continue providing strong guidance to our designers. 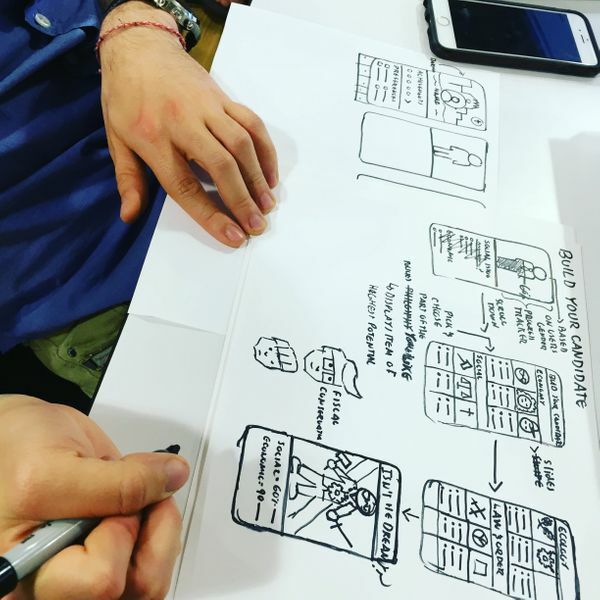 We have to see the potential in the way that they think, even if they have minimal wireframes to show, or no formal design degree but come to us with a background in a field that is human-centered. Building strong UX generalists from the start will only strengthen our practice. Giving them the time and environment to build skills in research, listening to users, and problem solving both creatively and with a business-sense rather than forcing them to be a design-hybrid unicorn, can only help. For the companies who hire these folks, we need to build time and guidance into our practice. Provide a strong structure first that will give designers a safe place to create and offer mentorship to help navigate the waters of the industry. Being a great UX designer requires a certain criteria and that doesn’t stem from telling young designers that they can “be whatever they want to be.” It comes from boundaries, constructive, actionable feedback, and a lot of time spent doing actual work. These are the things we as mentors, educators, and learning institutes must make time and advocate for in our respective companies and schools. Kathy Hlavac is a user experience designer at frog, an architect of seamless product experiences, trained in industrial design and an instructor of the part-time UX course at General Assembly in Austin.